Today, we’ll look at the 3 biggest mistakes commonly made by organizations during the creation of their Vision Statement. As discussed in the last post, Organizations wanting to perform at the highest level do so by working to leverage 3 commitments. These commitments set the stage for overall efficiency, growth, and prosperity. Great leaders vision-cast for their organization. They have an idea of where they want their organization to be down the road. They chart their desired course ahead of time. The best leaders will map out their Vision, put this Vision on paper, and share their Vision with the entire crew. However, too many leaders fail to be precise—they don’t follow a top-notch process to ensure their Vision truly comes to fruition. Mistake #1: Developing a Vision Statement that isn’t achievable in the near future—within an employee’s working lifetime. This is a bad idea. Instead of a far-off Vision as the organizational aim, your employees need to envision achieving the goal far sooner, so they can potentially experience the achievement as part of the team. No employee wants to think that they are expected to work hard to achieve an organization’s Vision without still being around to celebrate it happening. If the goal lies too far into the future, employees don’t feel invested in the outcome. They don’t feel committed to it. Instead, it gets shelved and ignored. With an achievable goal, hope, motivation, and perseverance are ignited. They can see your destination on the horizon. Your excitement will become theirs. When creating a Vision statement, make it achievable. Once it’s achieved, make sure you revisit it and make any adjustments and corrections to it as you move forward. Mistake #2: The Vision statement is not included in the hiring and recruitment processes. As you build your team, make sure that your potential employees know the direction your organization is headed; starting the moment they first step through the door. Let them know where they’re going when they first get onboard. It’s not enough to expect them to figure it out by osmosis. Don’t leave your Vision to chance. Tell them up front what it is and the role they will play in achieving it. Your Vision statement must be seamlessly incorporated into your hiring practices and documents. If it is not obvious from the start, you risk spending a lot of time, energy, and money acquiring people who don’t know where you’re going and don’t care. Your organization will be rudderless. Your Vision Statement is an invaluable motivator for your employees. Would you want to board a ship or a plane without knowing the destination ahead of time? Your employees won’t want to either. As a leader, you are the captain. Your crew—your employees—and your passengers—your customers—must be informed as to the destination of your journey and be enthusiastic about it. This is how high performance gets started! Mistake # 3: Failing to integrate your commitment to your organization’s Core Values and Mission Statement into your Vision Statement—not making it a complete, holistic package. A Vision statement should articulate two crucial items in addition to your Vision: your Mission statement and the core Values guiding your organization. These three components are interdependent and must work together as a team. Just like a top coach wouldn’t play merely one-third of his football squad in the Super Bowl, it is not possible to create a high-performing organization from the ground up if it lacks any of these three key components. The success of your Vision is important to your future—much too important to omit any of the key supporting pieces and risk it failing. If creating these three documents sounds like a lot to bite off, don’t be discouraged! Human Resources experts exist to help you, and resources exist to make it easier. The best ones guide you through the whole process, just like the one I created with my team. We’ve done the foundational work for you to make it all happen smoothly and simply. Our HR Mastery Toolkit teaches and guides you to implement the best practices used by some of the top, most successful organizations in the world. We begin with this essential first task: establishing your organization’s Mission, Vision, and Values. By using a top-notch process to create your Vision Statement, you’ll set the stage for your employees to achieve it. In the next post, we will continue examining this critical trio. I’ll give you some of the expertise I’ve gleaned from more than twenty years in the field of human resources. Come back to read: Mistakes Organizations Make When Determining Their Core Values. Join us at the 2018 Annual ABACC Conference at the Wyndham Orlando Florida Resort (International Drive). We will be exhibiting at this informative conference February 13 through February 16, 2018. Learn more here. We will also be speaking (Grace and Wisdom When Right-Sizing Your Staff) and exhibiting for the ABHE Annual Meeting February 21-23, 2018 at the Rosen Plaza Hotel, Orlando Florida Learn more here. 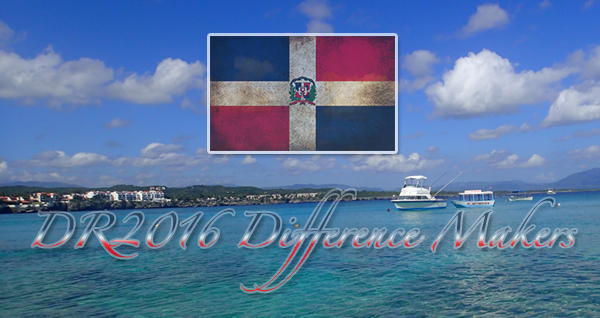 Contact us directly to set up a personal meeting in advance of the annual meeting. Looking forward to creating new friends and fostering deeper relationships with contacts we know. Successful organizations begin by establishing their mission, which is the core reason for their existence—the product or service they provide, who they provide it to, and the benefits of that product or service. A lack of an established mission means that not only are staff and management unsure of their purpose, but customers and vendors are also left in the dark, uncertain of what to expect. An organization’s mission ideally defines what it does best every day and why, and reflects the customer’s needs as well. Having a mission is the foundation upon which a high-performing organization’s dreams and potential become reality. Essentially, it affirms the reason(s) why an organization exists. Under the guidance of a project facilitator, a team of senior management begins by developing a framework of what they believe the mission should be. The facilitator shares and explains this mission framework to each supervisory layer, soliciting input on each occasion, and ultimately shares it with the employees who then sit down with a good human resources representative in a roundtable session to discuss it and generate further input. The facilitator may need to go back and forth a few times before a final product is derived. Once the majority of employees and management agree to the refined mission, all employees need to agree to respect and support it. A primary benefit to creating or revisiting a mission is that it opens up communication within and throughout an organization. Every successful organization has a clearly established mission, one that has been developed with input from all employees collectively, not simply flowing down from the top. By engaging employees in establishing their organization’s mission, they become fully invested in it. The mission must be ingrained within the organization’s culture. Not only are employees and customers made familiar with the organization’s mission; candidates are also exposed to the mission of high-performing organizations during the interview process, before they’re offered a position. Some tips to remember when writing a mission statement: 1) keep it short and easy to remember; 2) specify who your target customer is and describe the advantages you offer; and 3) define your product clearly and how it differs from the competition. You may be wondering how you can say all that and still keep your mission statement short and memorable. Here are two strong examples from high-performing organizations with effective mission statements. Google: We organize the world‘s information and make it universally accessible and useful. Their marketplace? The world. Their product and its advantages? Organizing the world’s information to make it easily accessible and useful. They do this and they do it exceedingly well. 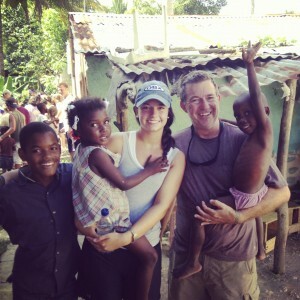 Starbucks: We inspire and nurture the human spirit — one person, one cup, and one neighborhood at a time. Their marketplace? Also, essentially the world, yet they stress the individual: one person, one neighborhood at a time to maintain a personal feel. We are already very familiar with their product and social coffeehouse environment, aren’t we? 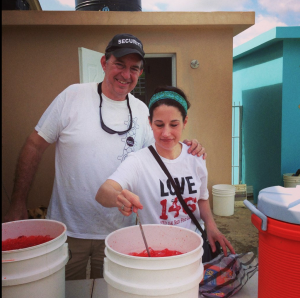 Let’s look at a Bible College and Seminary Mission. Lancaster Bible College|Capital Seminary & Graduate School: Our focus is on your journey to fulfill God’s purpose for your life. Our mission has remained constant since 1933: To educate Christian students to think and live a biblical worldview and to proclaim Christ by serving Him in the Church and society. And finally a Private Christian College. Messiah College: Our mission is to educate men and women toward maturity of intellect, character and Christian faith in preparation for lives of service, leadership and reconciliation in church and society. 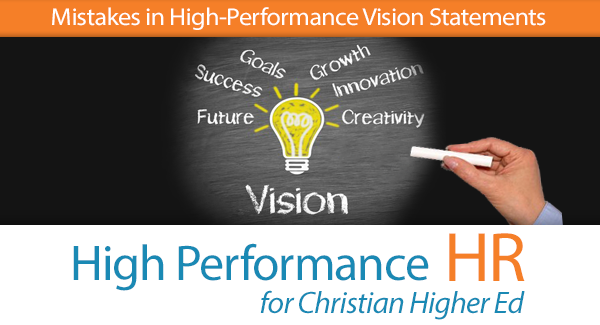 In addition to a mission statement, all high-performing organizations possess a clearly defined vision. Organizations with an established vision have a workplace of direction, purpose, and achievement. 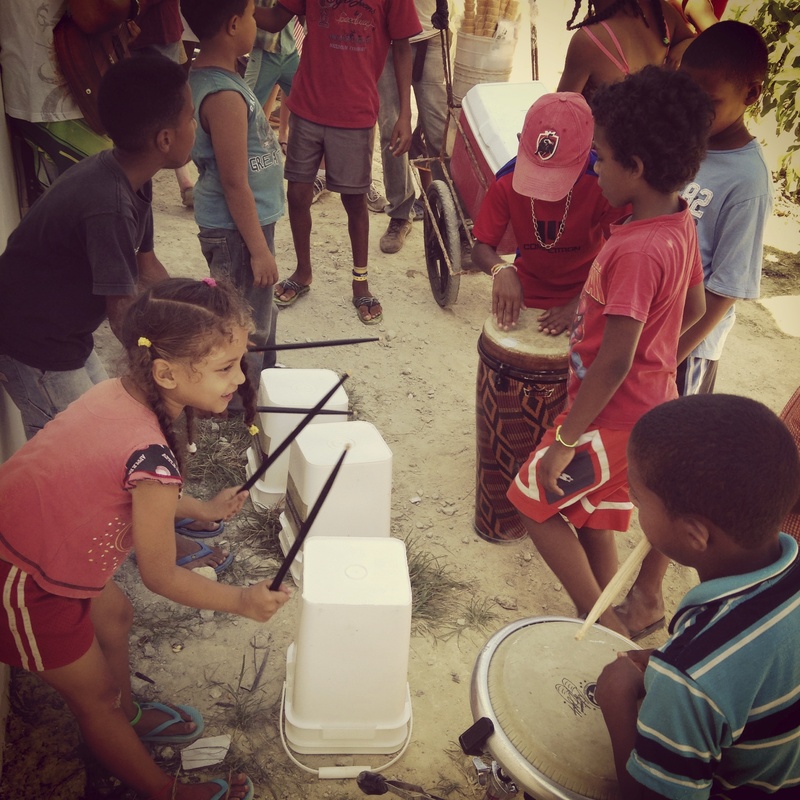 These organizations envision where they want to be and do the appropriate things to get there. Every employee is given a copy of this road map. 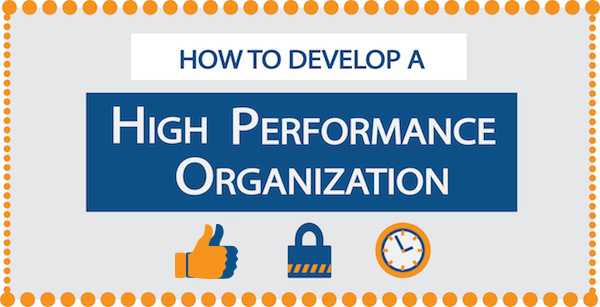 Wondering what is all behind the process of developing a High Performance Organization? Wonder no more. Check out our Infographic for those who learn by seeing. You don’t want to miss this unique and powerful event. 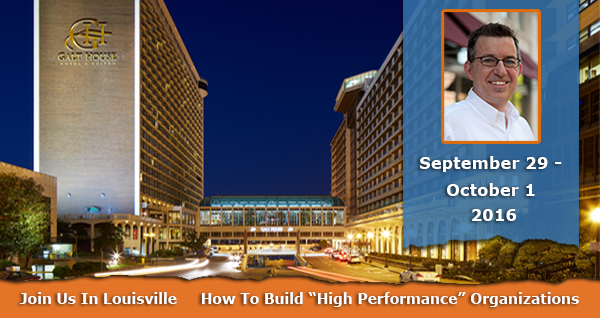 Come hear Mark A. Griffin deliver in 15 minutes, “How to Build High Performance Organizations”. Please visit this Symposium Speaker Page for information on speakers and topics. Want to know what time each speaker presents? The speaker schedule is located here. Mark and his wife, Gail, have two adult children, and will celebrate their 30th wedding anniversary this June. They attend LCBC Church. Mark has traveled the world coaching leaders on “Business as Mission” in Eastern Europe, India, Haiti and the Dominican Republic. Mark is an author of How to Build “Kingdom-Minded” Organizations and College to Career: The Student Guide to Career and Life Navigation. 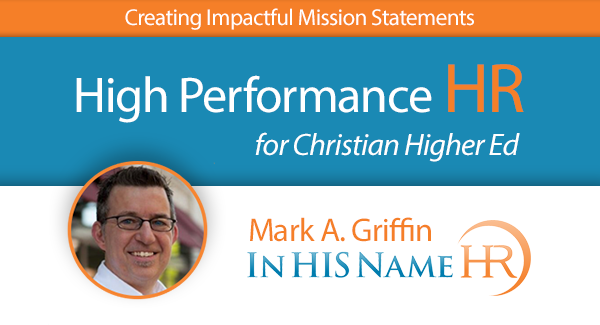 Speaker and accomplished HR consultant, Mark A. Griffin gives Christian leaders encouragement in building values-led organizations during these difficult economic times. 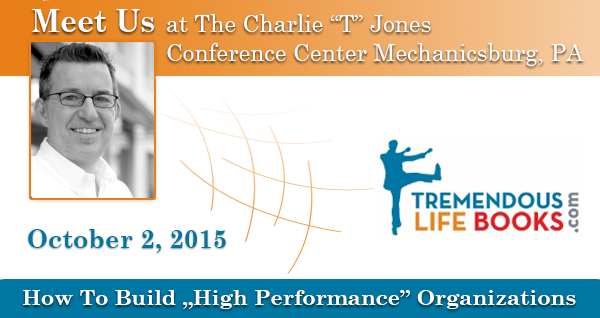 Do you want to take your organization to the next level? Now more than ever, organizational leadership needs to create a platform to help employees succeed. 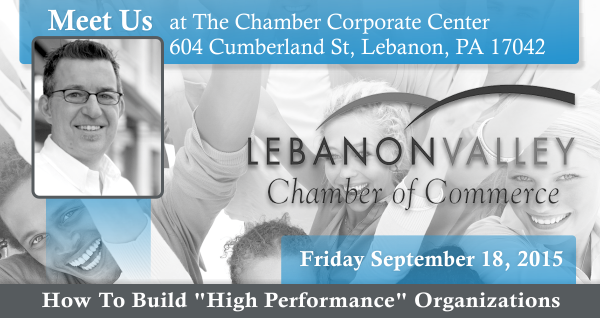 Come and learn how to do this by implementing processes that will lead your organization to High Performance. Leading an organization with clarity in Mission, Vision and, most importantly, Values makes good organizational leadership sense. 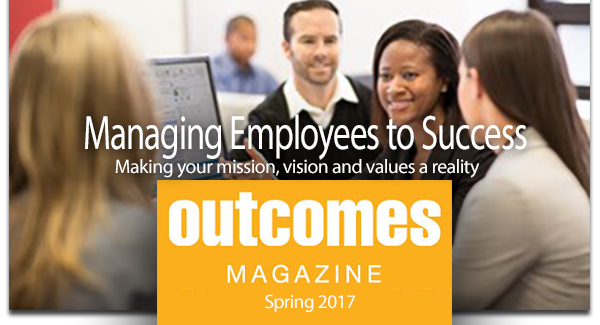 We call organizations that do that successfully, “High Performance Organizations,” or simply HPO’s. Mark and his wife, Gail, have two adult children, and recently celebrated their twenty-ninth wedding anniversary. They attend LCBC Church. 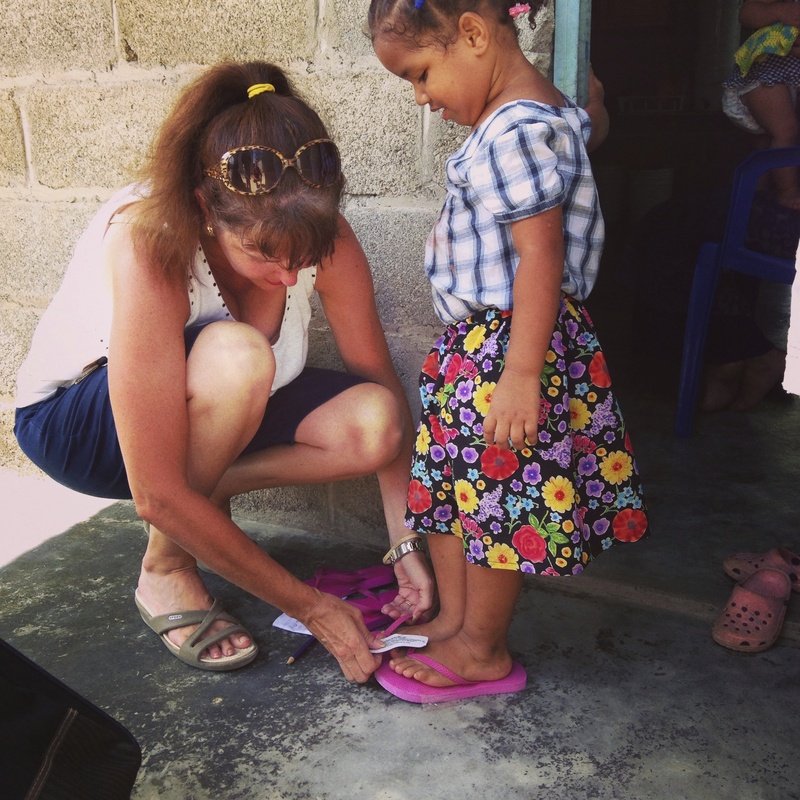 Mark has traveled the world coaching leaders on “Buiness as Mission” in Eastern Europe and India and the Dominican Republic. 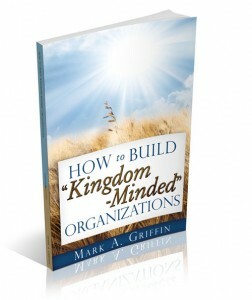 A recently published author (How to Build “Kingdom-Minded” Organizations) , speaker and accomplished HR consultant, Mark A. Griffin gives Christian leaders encouragement in building values-led organizations during these difficult economic times. 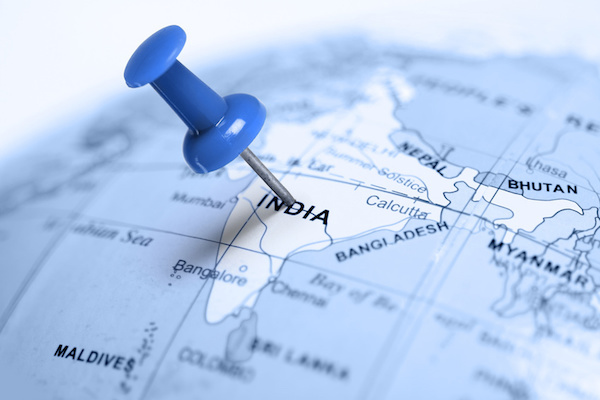 In February 2015, HarvestNet International coordinated and led the visit of five U.S. businessmen to a number of cities across India, including New Delhi, Razole, Rajahmundry, Bengaluru, Bangalore, Salem, Pune, and Goa. The focus of this Business as Mission trip was to spend time with Indian businesses leaders, ministry directors, and pastors to exchange ideas and explore the various ways in which we might altruistically partner in the developing of India’s businesses. Our shared goal is to help these businesses to prosper sufficiently to enable them to support India’s orphanages, ministries, and churches without the need for international aid. 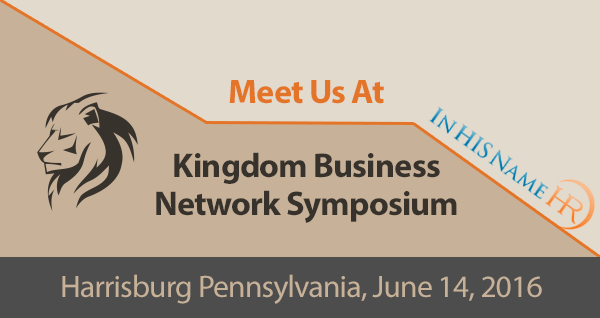 We are excited as we develop the next steps in developing business development partnerships in the advancement of the Kingdom in India. Check out the pictures from our journey here.